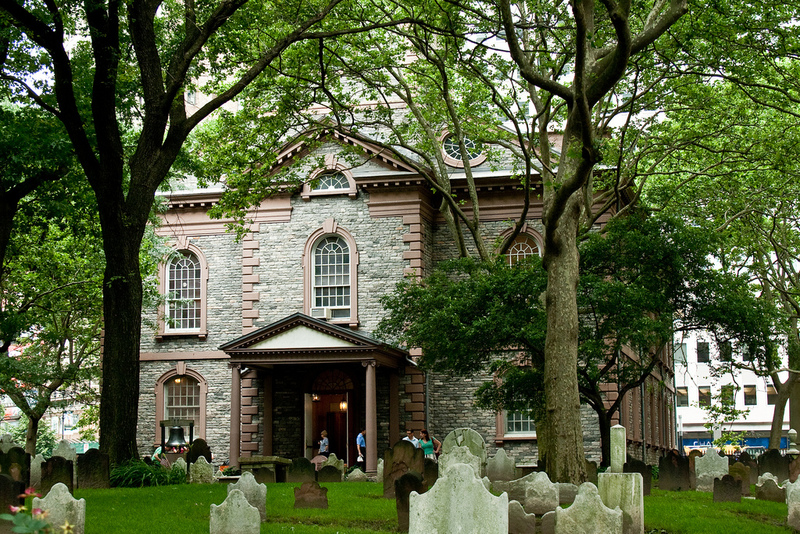 St. Paul’s is the oldest surviving church in Manhattan, and a terrific starting point for our trip. True Colonial architecture isn’t always easy to find in a city that has rebuilt itself so many times, but St. Paul’s is a tremendous example of the style of the times before American independence. After independence, the United States looked for a new style that could distance them from Great Britain and forge a new way forward for the young republic. That new style they settled on was Neoclassicism, to hearken back to the founding grounds of democracy in Greece. 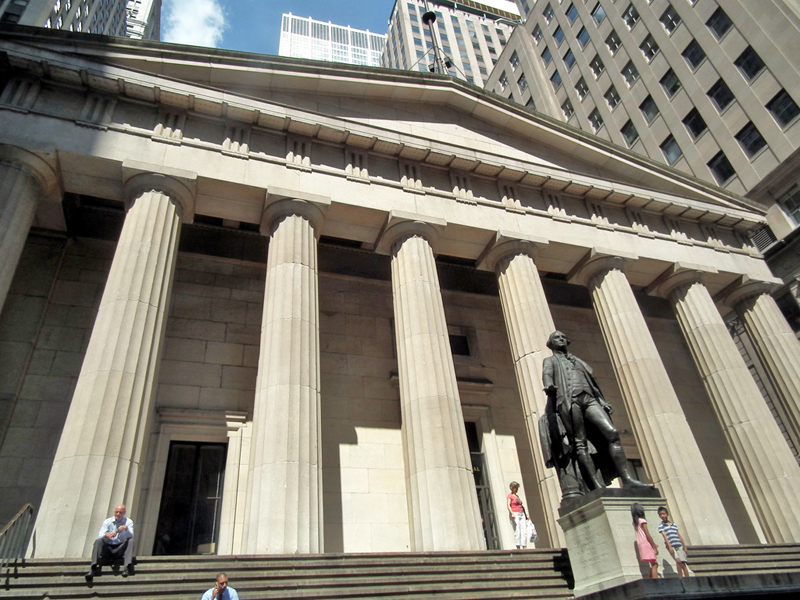 Federal Hall has all the Neoclassical style you would expect from an official building of the time, and the classic Washington statue in front as well. In the 19th century, a Gothic revival took hold and brought a new style inspired by the old German architectural style into America and New York. 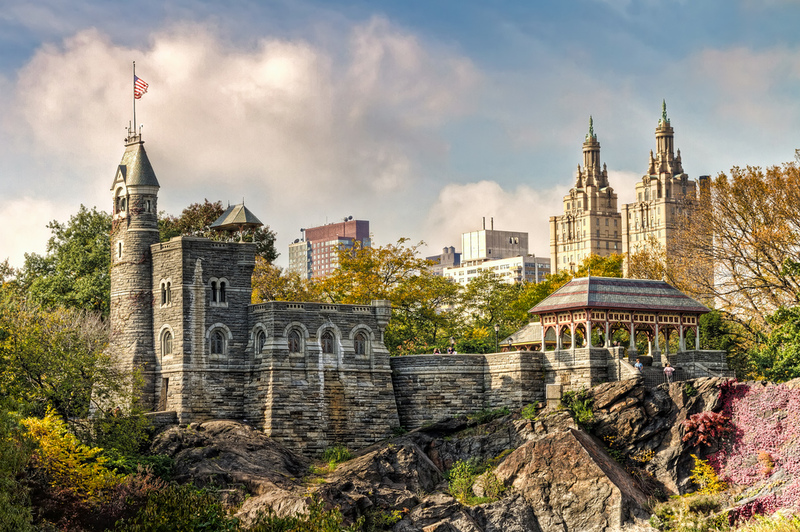 Perhaps the flashiest New York example is Belvedere Castle, overlooking Central Park. The early half of the 20th century saw Art Deco take over as the style of the day, and New York has too many terrific examples of this style to count. It is almost unfair to only include one example of Art Deco in a New York architecture trip, but the Rockefeller Center does the style proud and has more to look at at ground level than many skyscrapers like the Empire State Building. 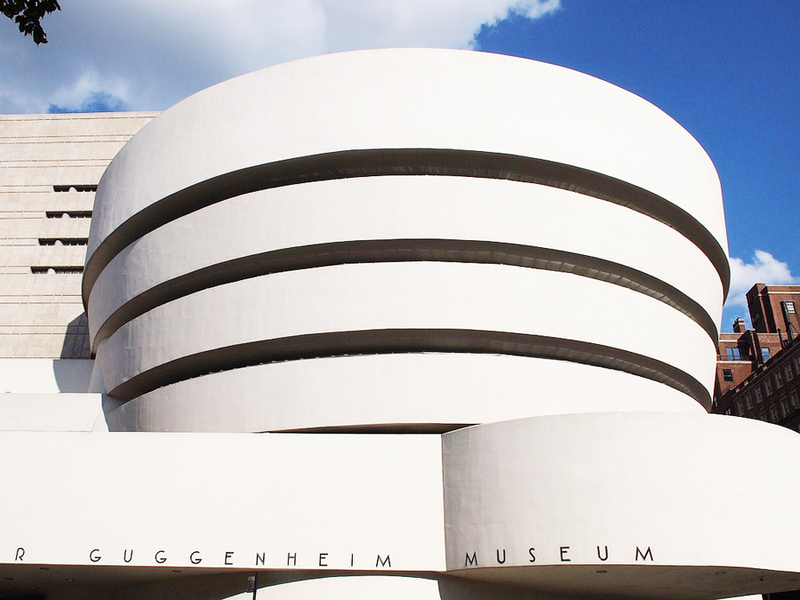 The soft curves of hard concrete became the enviable style in the middle of the 20th century, and no example is more famous than Frank Lloyd Wright‘s spiral building at the Guggenheim Museum. If this style will ever seem old, it hasn’t gotten there yet. And now for a building that won’t be on your typical NYC bus tour, the Asphalt Green building is a whole complex of postmodern design. The large parabolic arch structure is the most striking and unusual piece of architecture, but all around the building you can find new and incredible sights. 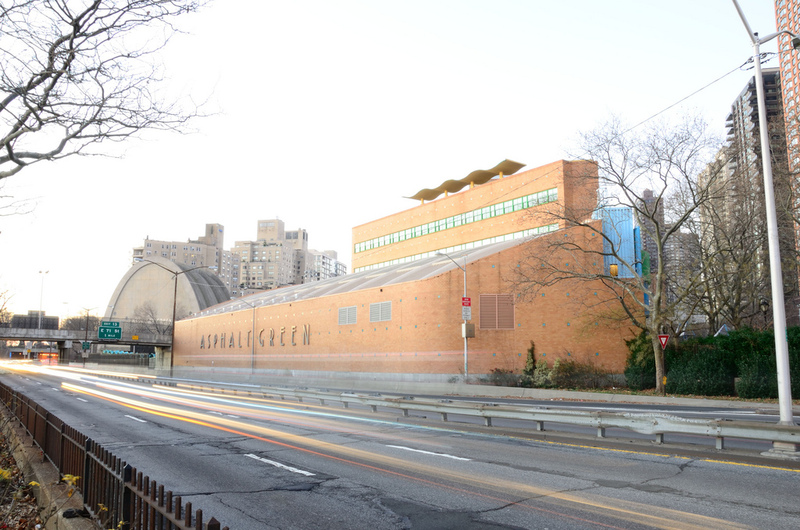 The main building, looking like a normal, functional, harsh facade on one end, sports an incredible and complicated facade on the other, with wavy segments of concrete looking out onto the soccer field and park adjacent to it. The complex also sports a 12-foot tall sundial, beautiful but completely impractical for anyone not wearing stilts. 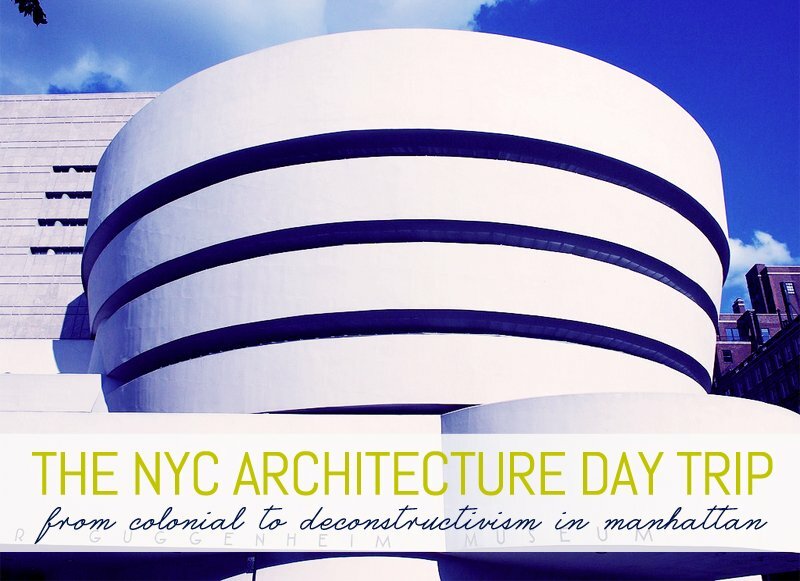 The Cooper Union’s 41 Cooper Square is a wonderful example of Deconstructivist architecture. 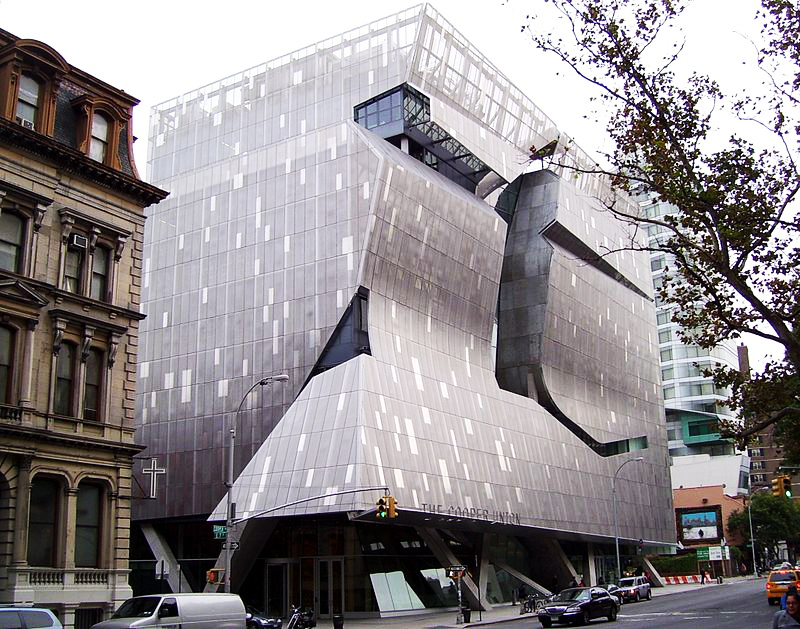 Designed by Pritzker prize winning architect Thom Mayne of Morphosis, the building was erected in 2009 and today houses the Albert Nerken School of Engineering with additional spaces for the humanities, arts and, fittingly, the architecture department. The architecture is starkly different than the buildings that surround it, but its fragmented, curved volumes meld well with the energy of its dynamic locale.